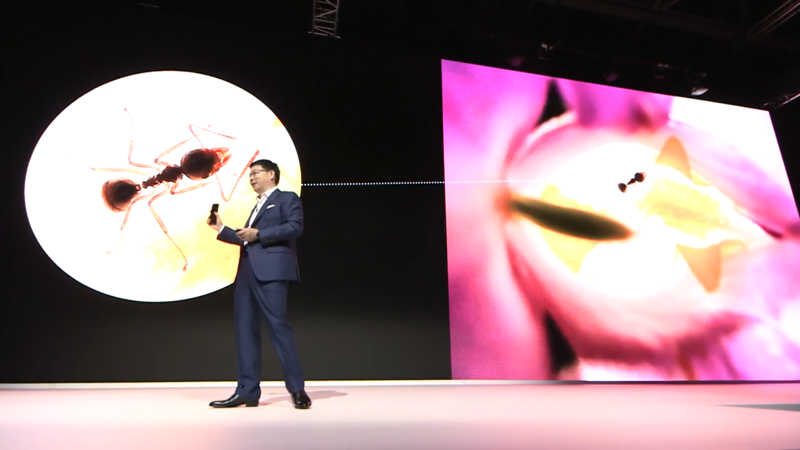 09:10AM EDT - Hello folks, we've has some technical issues as both on-site location and the stream has failed. 09:11AM EDT - We missed the first 10 minutes of the event, but picking up from here. 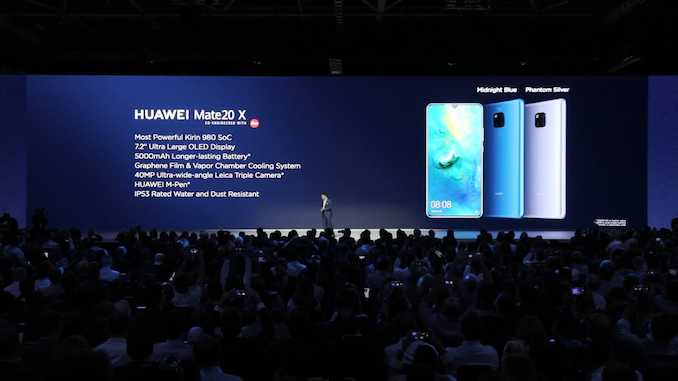 09:11AM EDT - We have the Mate 20 and Mate 20 Pro announced today. 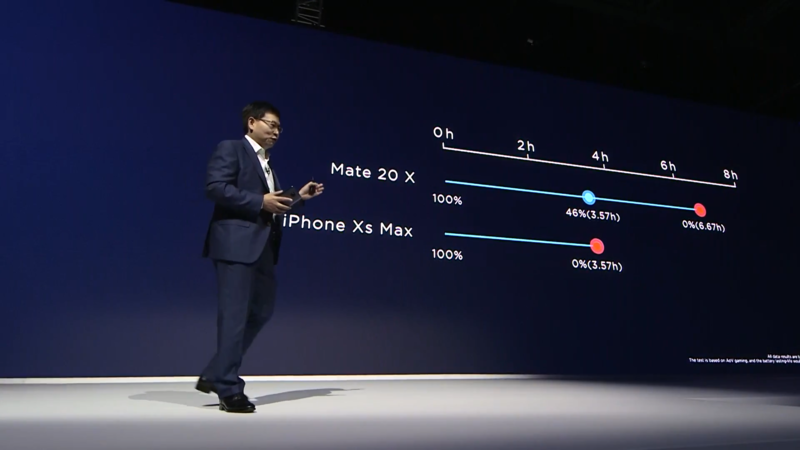 09:12AM EDT - Picking up from where the event is going now, the Mate 20 Pro is introducing a new DPS sensor (in-screen fingerprint). 09:12AM EDT - Huawei is introducing a new SD card format: nanoSD, same format as the nanoSIM. 09:13AM EDT - The Mate 20 and Mate 20 Pro have no speaker grill - the sound comes out of the USB C jack hole. 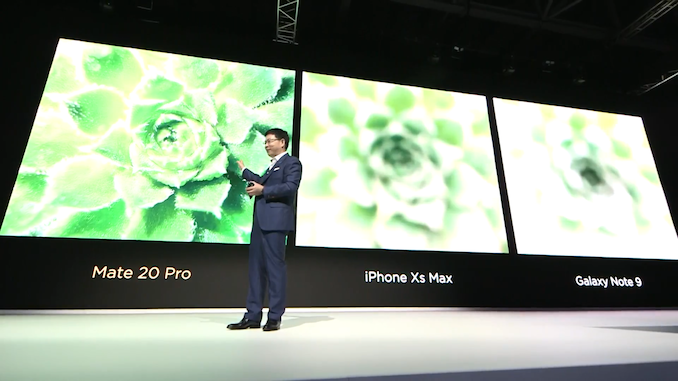 09:14AM EDT - The new Mate 20 Pro is IP68. 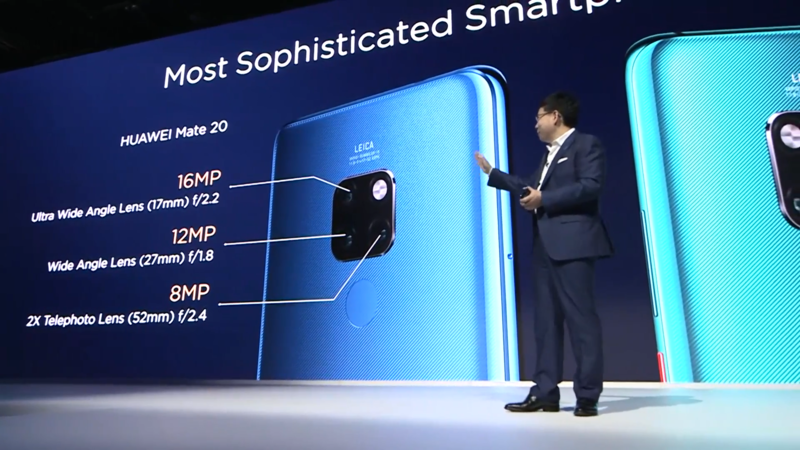 09:14AM EDT - The Mate 20, even though it has a glass back, has a special micro-bump surface to make it less slippery. 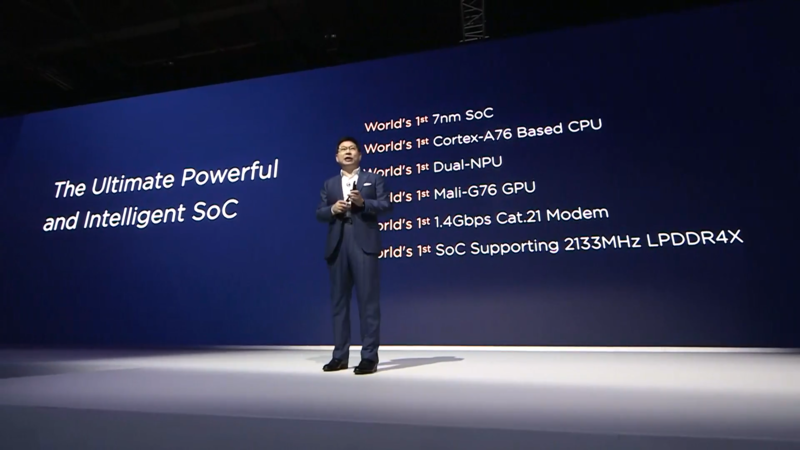 09:16AM EDT - The Mate 20's are powered by the new 7nm Kirin 980 - this is the first SoC with Arm's new A76, G76, and Huawei claims to have the fastest WiFi and modem. 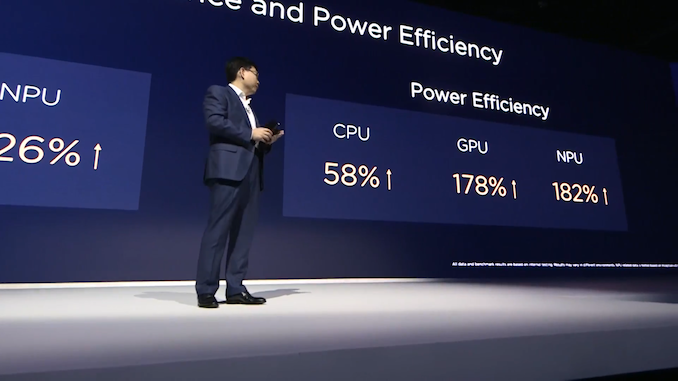 09:17AM EDT - Big performance as well as power efficiency improvements, on CPU, GPU as well as the new NPU. 09:18AM EDT - 1s faster launch times in applications than competing smartphones, across a variety of applications. 09:19AM EDT - Sustained performance of the smartphone over longer duration. 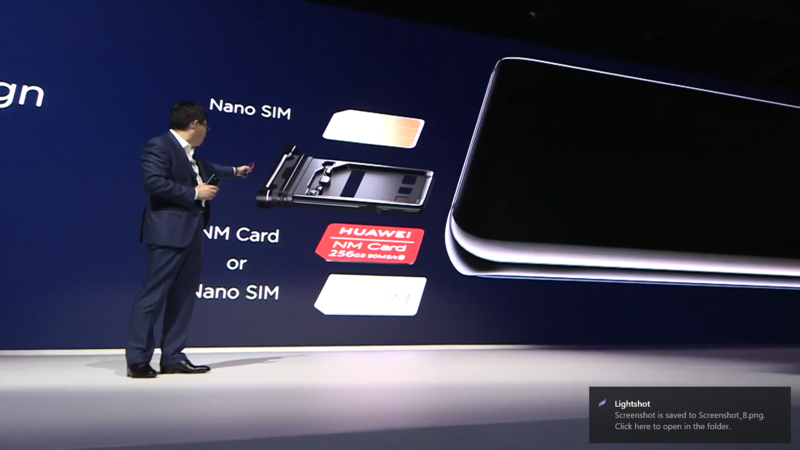 No degradation as found in other smartphones, this is linked to the NAND storage of the phones. 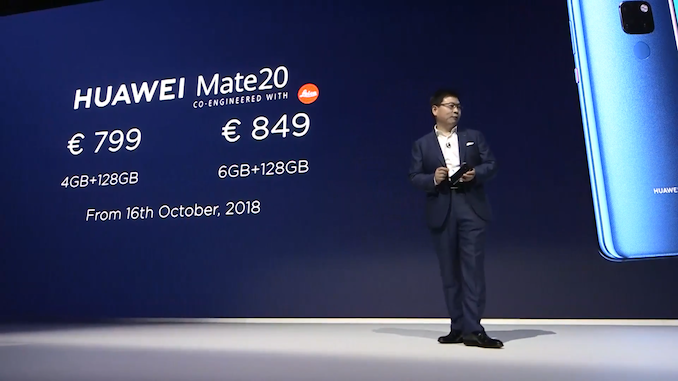 09:19AM EDT - The new Mate 20 has a new 4200 mAh battery. 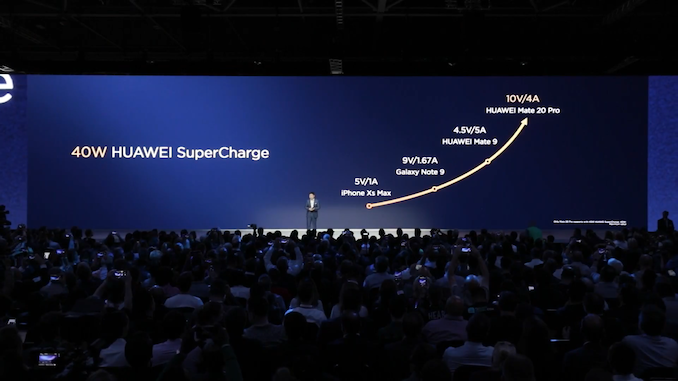 09:20AM EDT - New super charging, 40W peak charging power, in half an hour it charges up to 70%. 09:20AM EDT - TÜI has certified the charging method as the safest charging method. 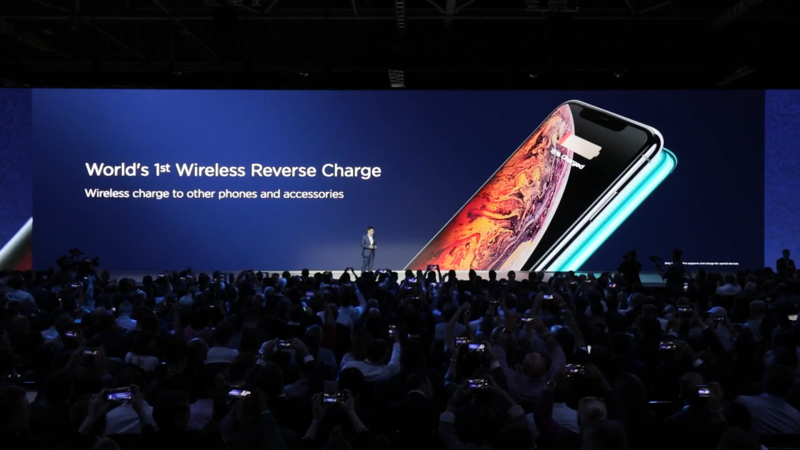 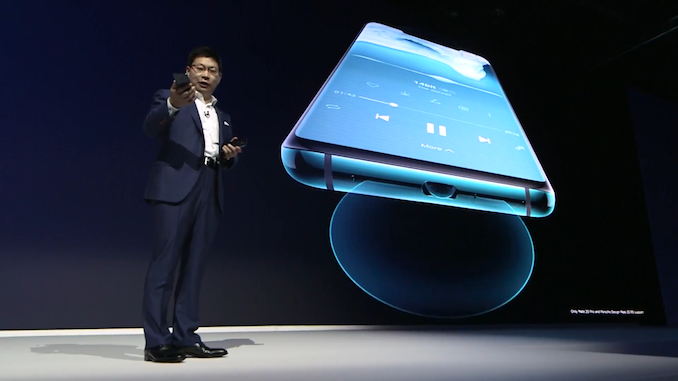 09:21AM EDT - 15W wireless charging is now supported by Huawei for the first time. 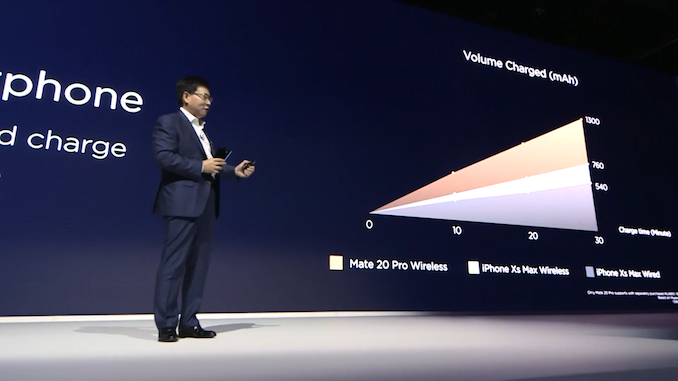 09:21AM EDT - 70% faster wireless charging than other phones. 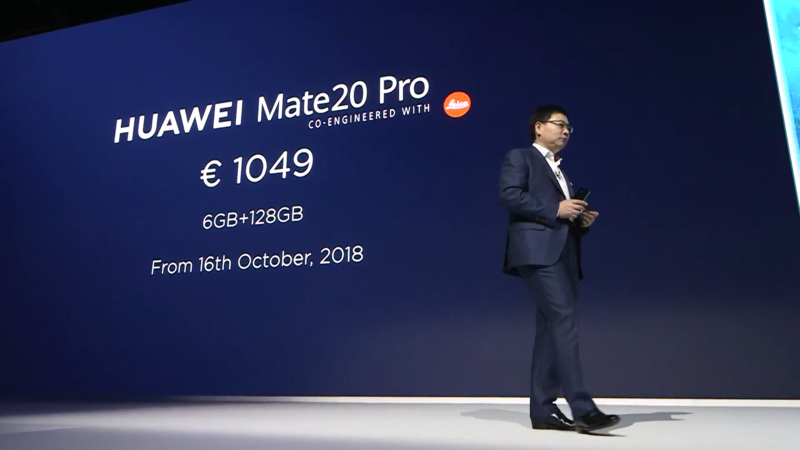 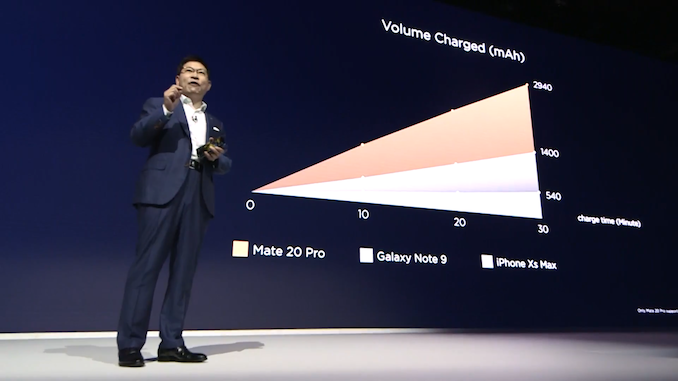 09:22AM EDT - You can also reverse charge other devices with the Mate 20 Pro. 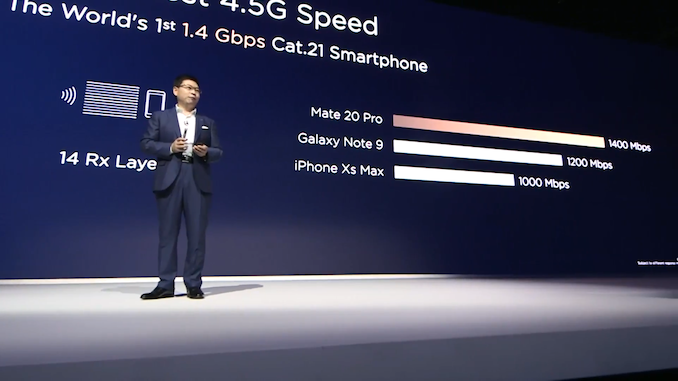 09:23AM EDT - New 1.4Gbps LTE modem, and promising much better antenna performance. 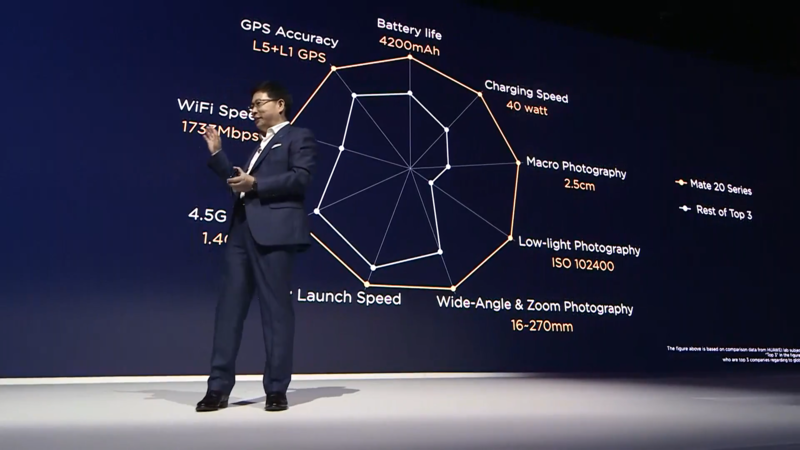 09:24AM EDT - Dual-frequency band GPS, L1 and L5. 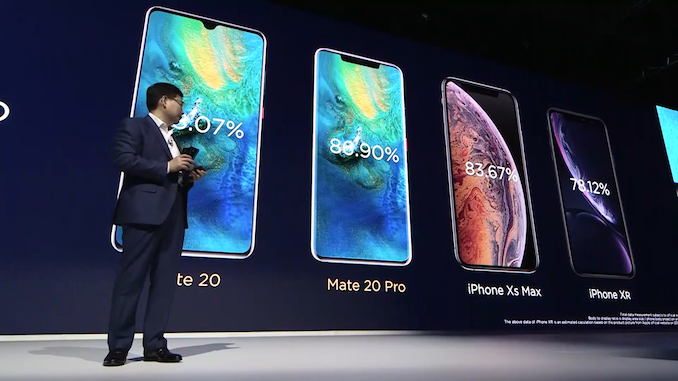 With 10x accuracy. 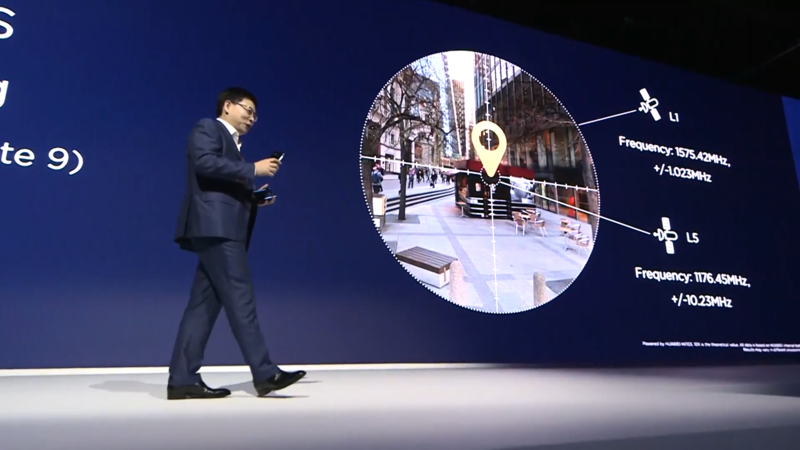 09:25AM EDT - Comparison video between the different GPS accuracy in a city environment with high buildings. 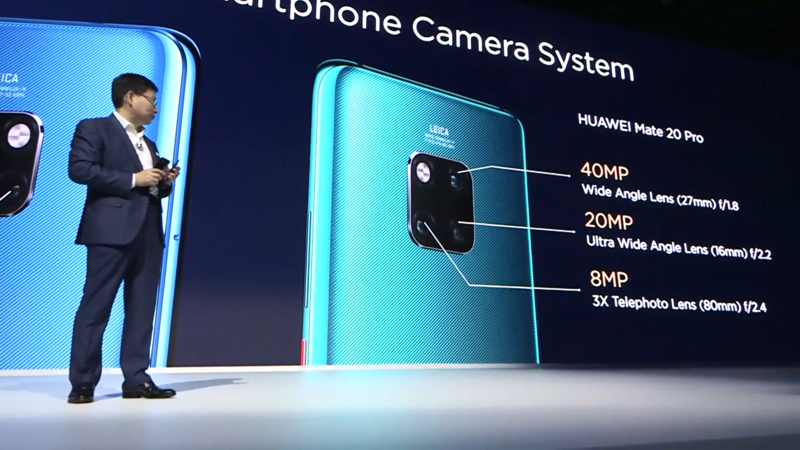 09:25AM EDT - "Matrix camera system"
09:26AM EDT - 16MP main sensor, 12MP wide angle, 8MP zoom on the Mate 20. 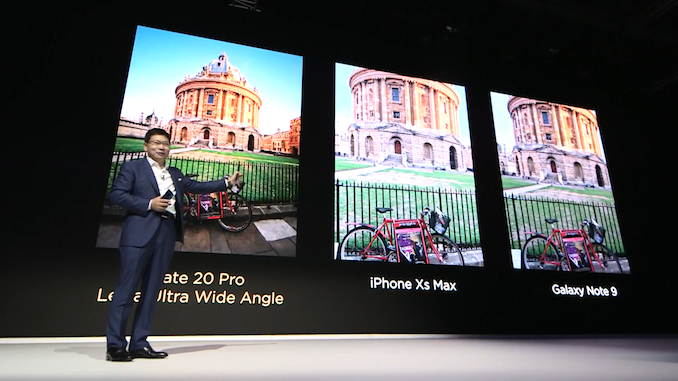 09:26AM EDT - 40MP main, same as on the P20 Pro, 20MP wide angle, and 8MP zoom on the Mate 20 Pro. 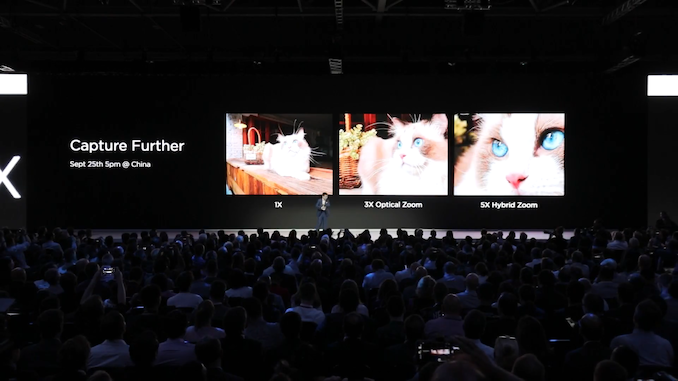 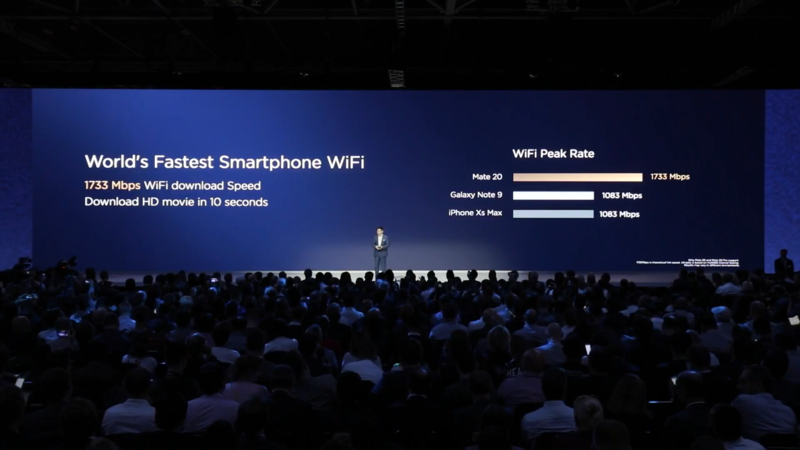 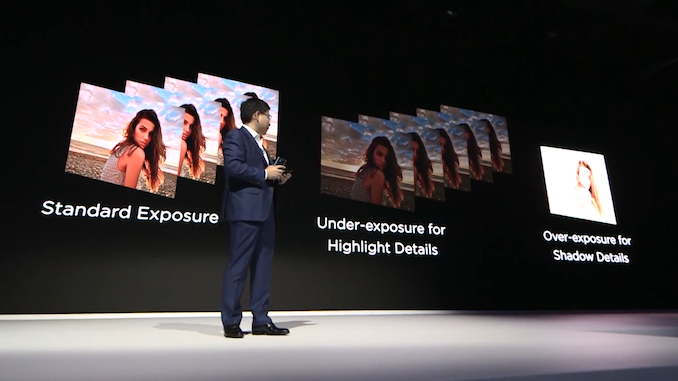 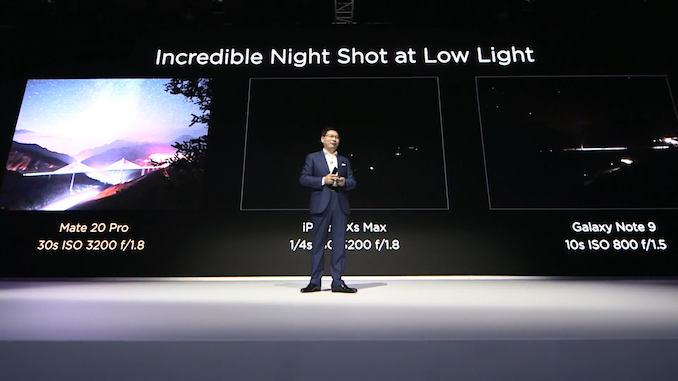 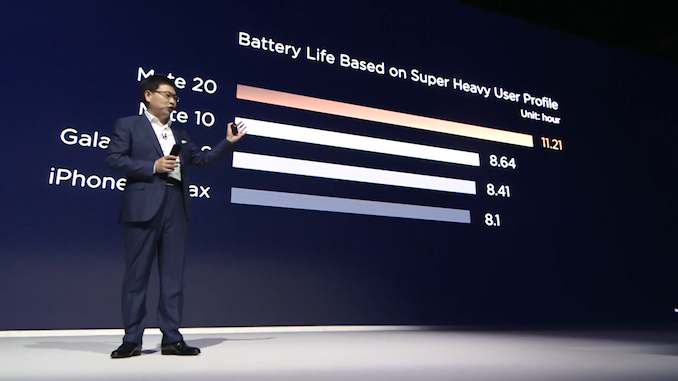 09:28AM EDT - As we've seen in past reviews, Huawei's extreme low-light sensitivity is unrivalled. 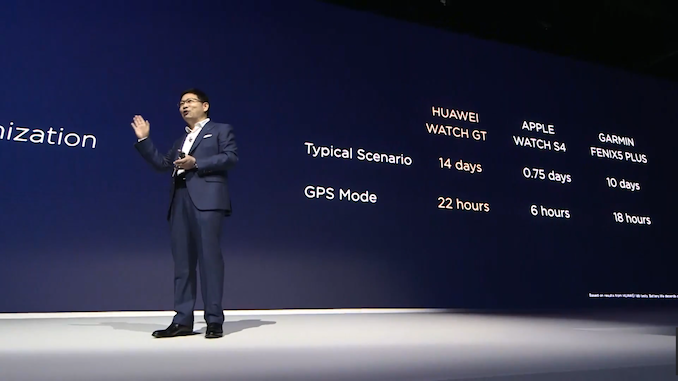 09:28AM EDT - Huawei doesn't use OIS on the main sensors, and instead relies on their "AIS" EIS implementation. 09:29AM EDT - 10-photo exposure for HDR capture. 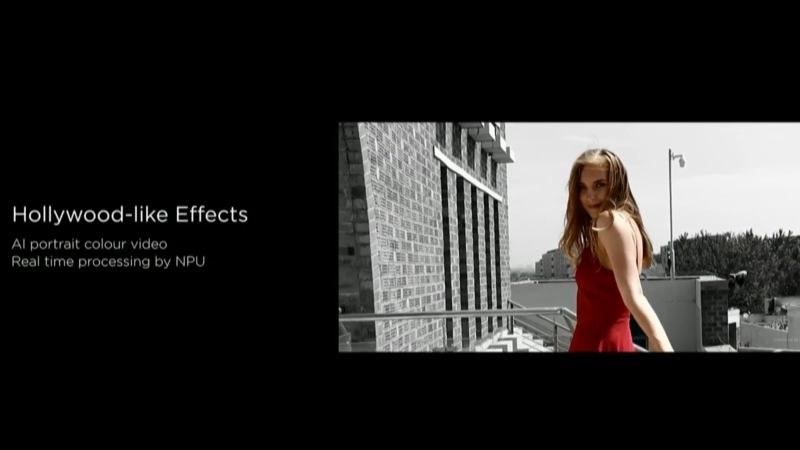 09:30AM EDT - Swirl bokeh effects for portrait mode. 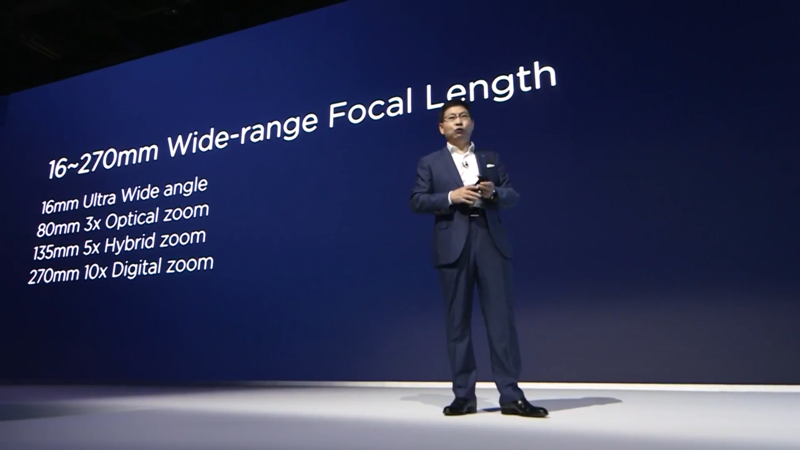 09:31AM EDT - 16mm equivalent focal length to up to 80mm optical zoom - or 135mm hybrid zoom mode. 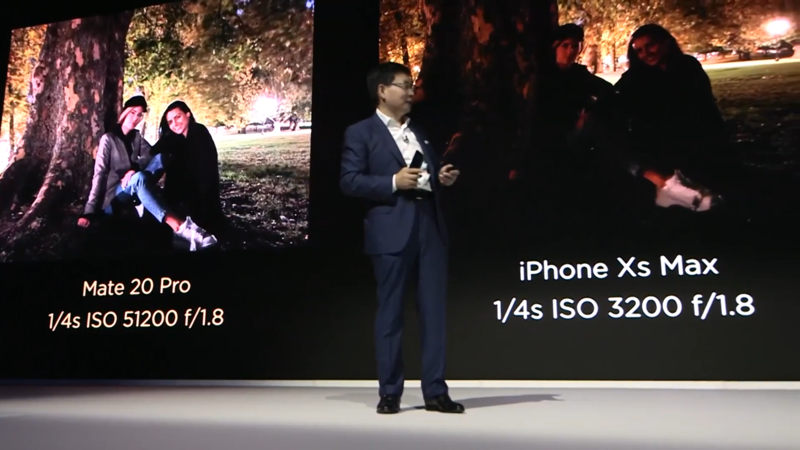 09:32AM EDT - Looking forward for wide angle modules to be more common in smartphones, I think it's much more useful than telephoto lenses! 09:33AM EDT - Different sample shots taken with the different cameras. 09:34AM EDT - Macro mode capture up to 2.5cm from the object. 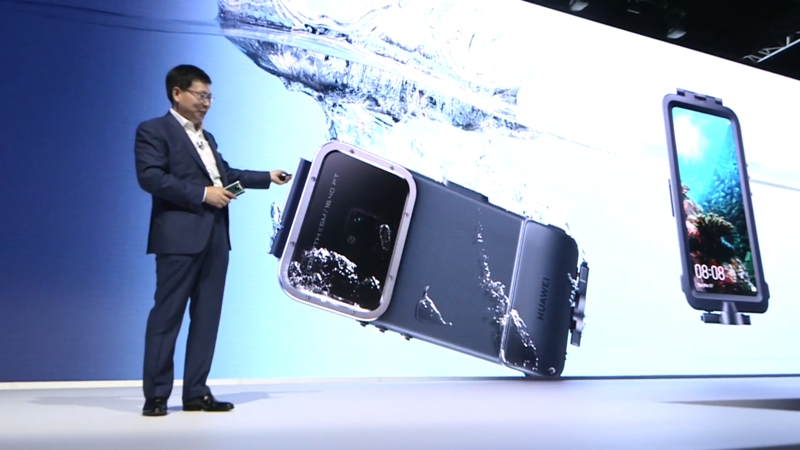 09:35AM EDT - Huawei offers an accessory case with up to 5m water proofing. 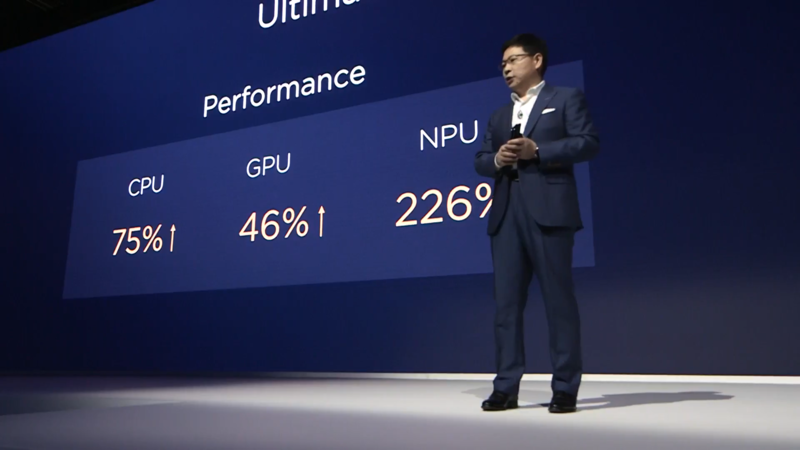 09:35AM EDT - Now talking about the new NPU of the new Kirin, and how it's used. 09:36AM EDT - Uses real-time processing to change the background colour and retaining a target colour. 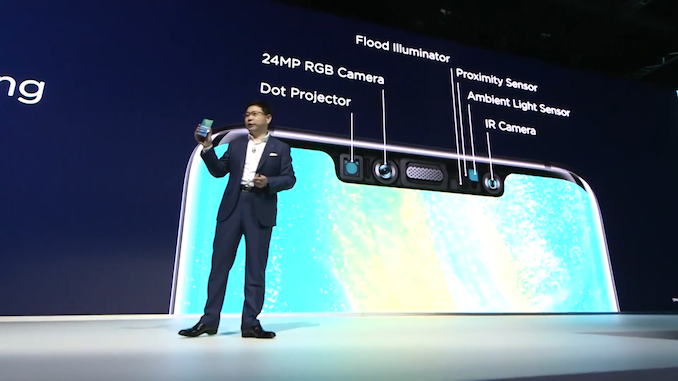 09:37AM EDT - Inside the notch of the Mate 20 Pro, we have a dot projector, flood illuminator, and IR camera. 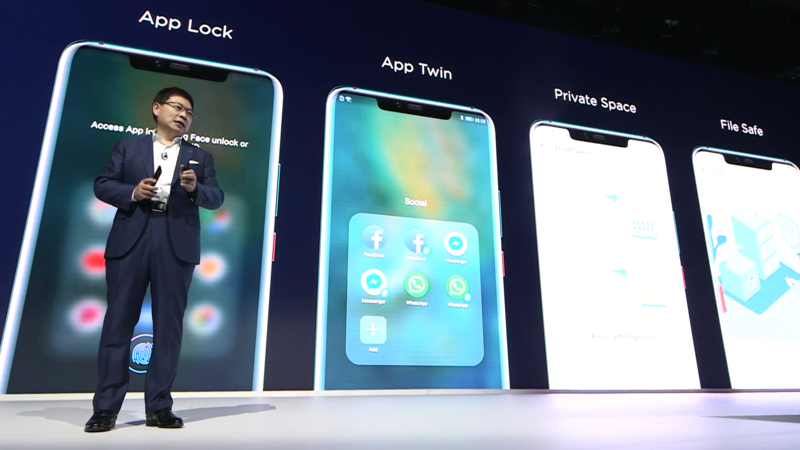 09:38AM EDT - Huawei offers Face ID like face unlocking as well as payment security. 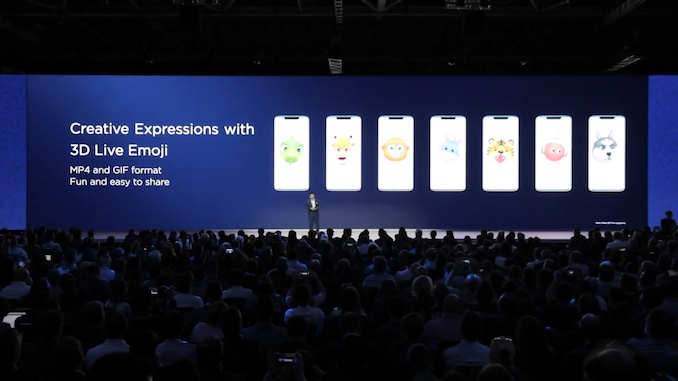 09:38AM EDT - Naturally, Huawei also supports live expression emojis "3D Live Emoji"
09:40AM EDT - 3D Live scanning of objects for generation of 3D models. 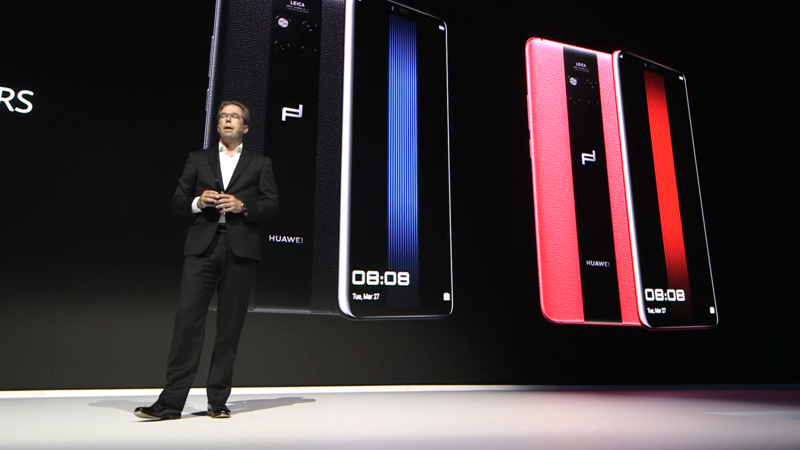 09:40AM EDT - Scanning each side of an object, scanning every surface. 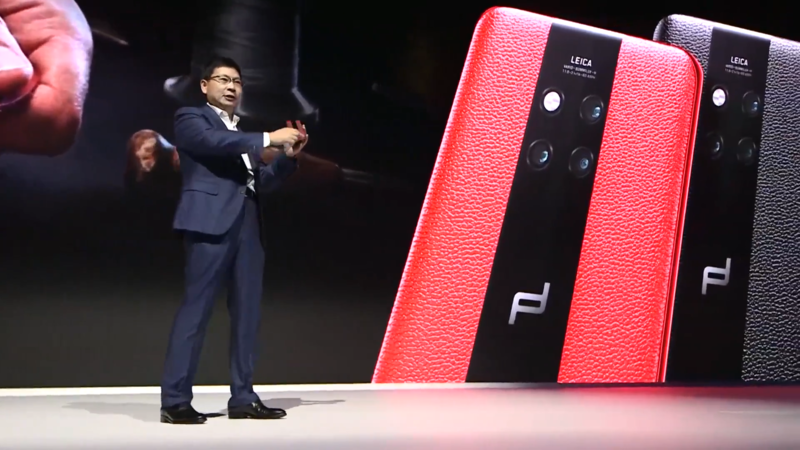 09:41AM EDT - Once you have the object scanned, the phone builds a 3D model. 09:41AM EDT - This is actually really cool! 09:41AM EDT - You can even now animate the object, and do skeletal modelling. 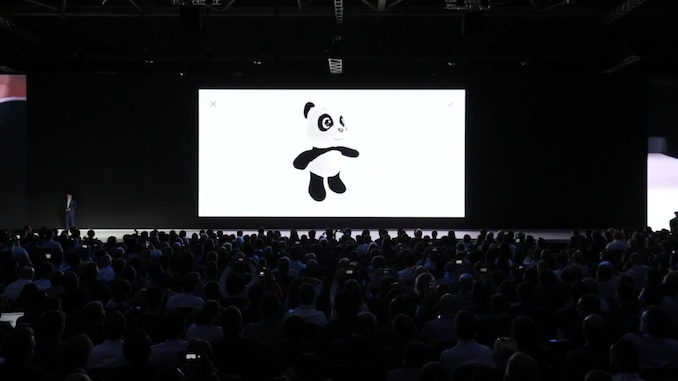 09:42AM EDT - It gives the 3D model animation possibility. 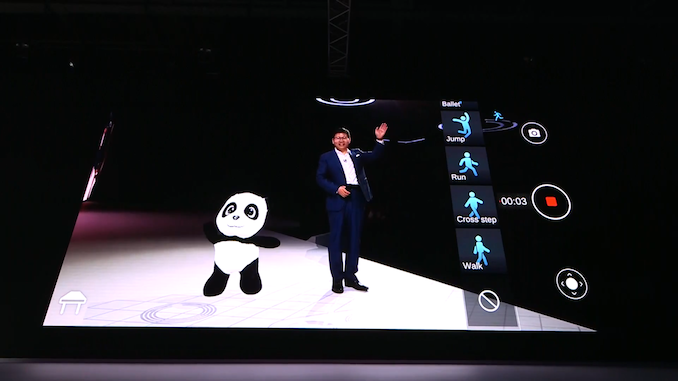 09:43AM EDT - It can use AR to give the scanned 3D object, the panda in this case, movements. 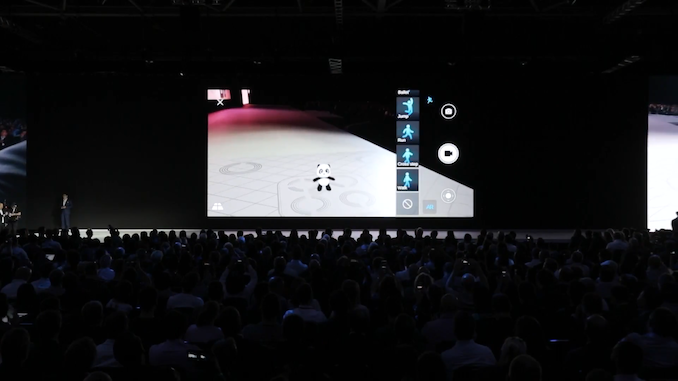 And actually even controlling the character. 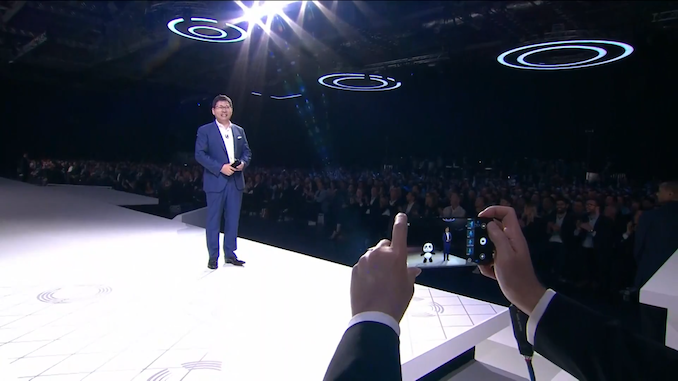 09:44AM EDT - You can also do video recording with the AR character. 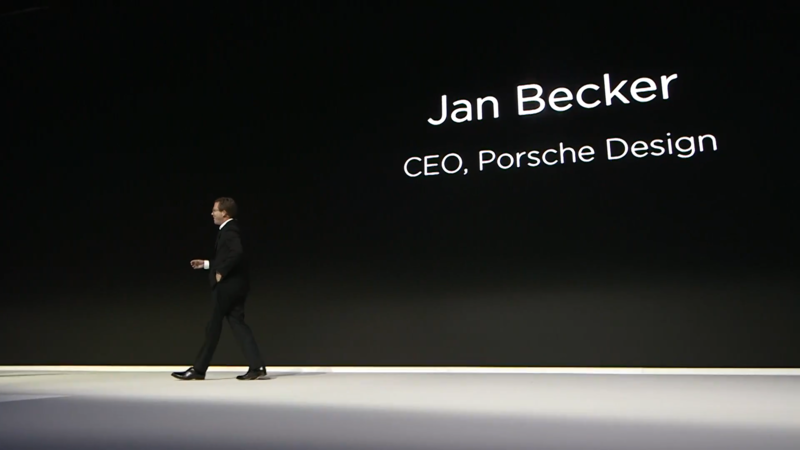 09:45AM EDT - Really cool demo with the 3D object scanning! 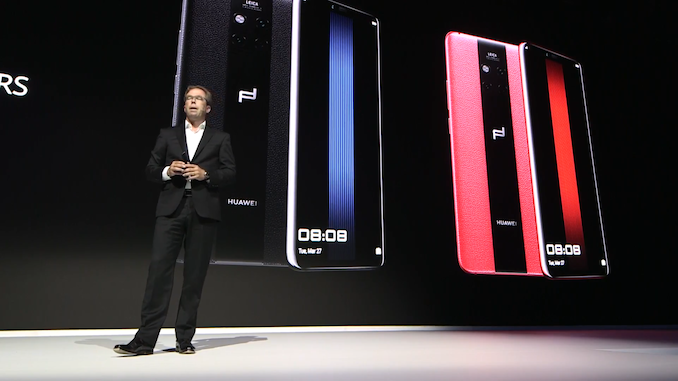 09:46AM EDT - Moving on, more sample shots done by Huawei smartphone users. 09:49AM EDT - Full gesture navigation in EMUI 9, swipe from left or right as back action. 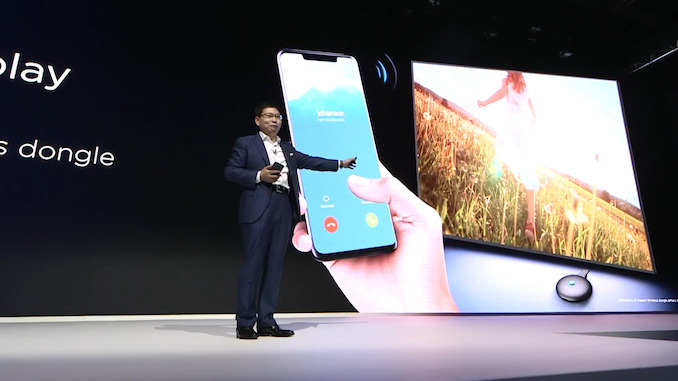 Swipe from bottom for home, and swipe from bottom and hold for multi-tasking. 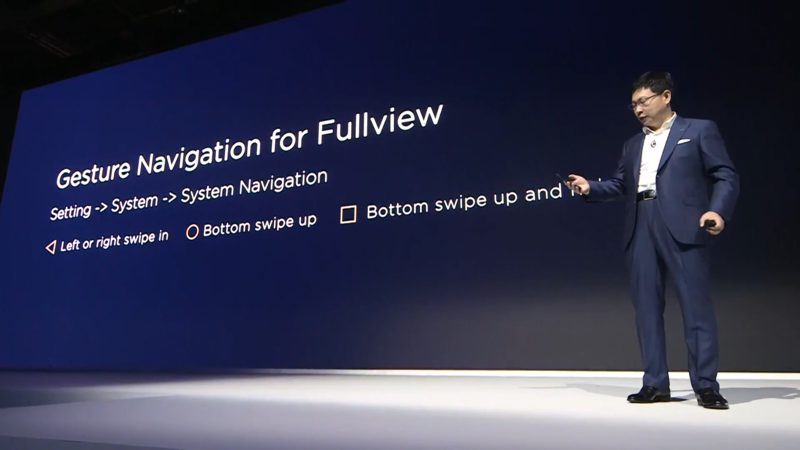 09:50AM EDT - I really like that Huawei enables the back action on two sides of the screen, something other vendors fail to do in their gesture implementations. 09:51AM EDT - Secure applications, duplicate applications in terms of application management. 09:53AM EDT - The phone can also use the 3D scanning to calculate the calories in a meal. 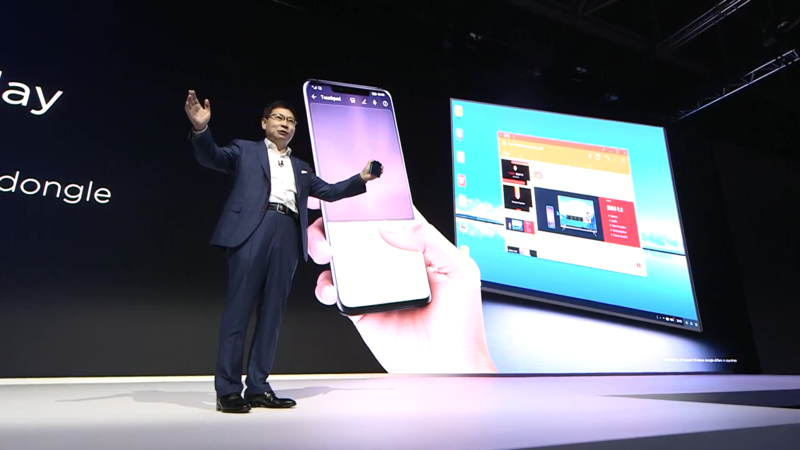 09:53AM EDT - PC mode, with the phone connected to a large screen with a cable. 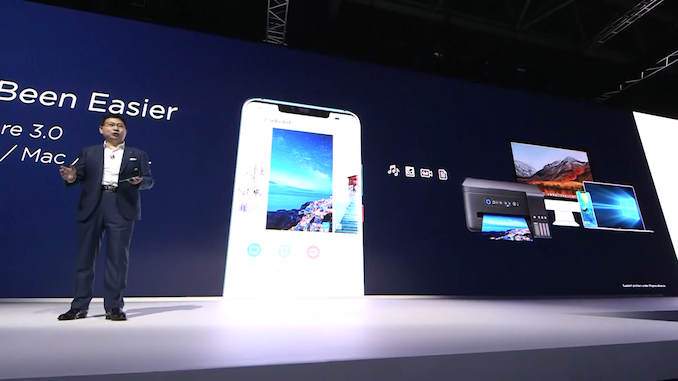 Now the Mate 20 now support Miracasting to a large screen. 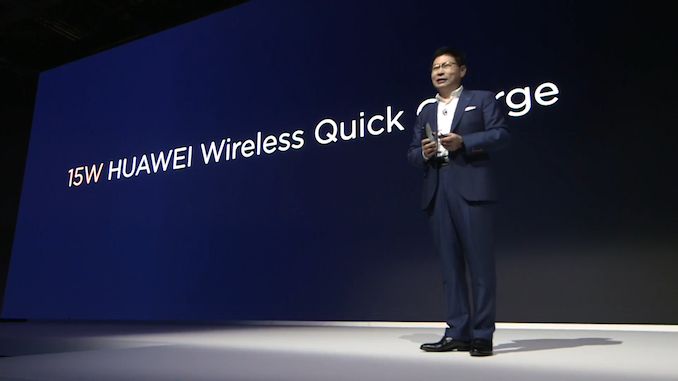 09:54AM EDT - If your TV doesn't support Miracast, there's a Huawei wireless dongle available. 09:55AM EDT - 1000 images shared in 2 minutes. 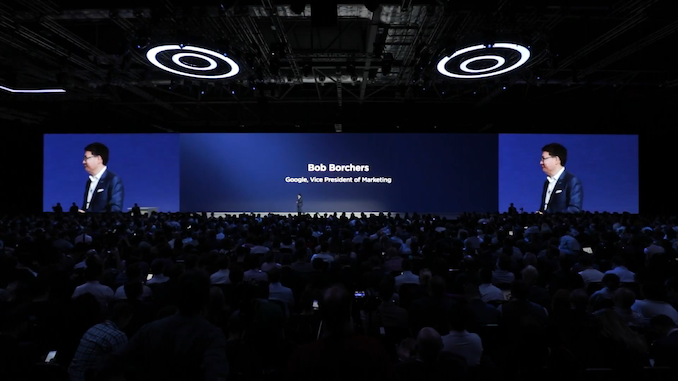 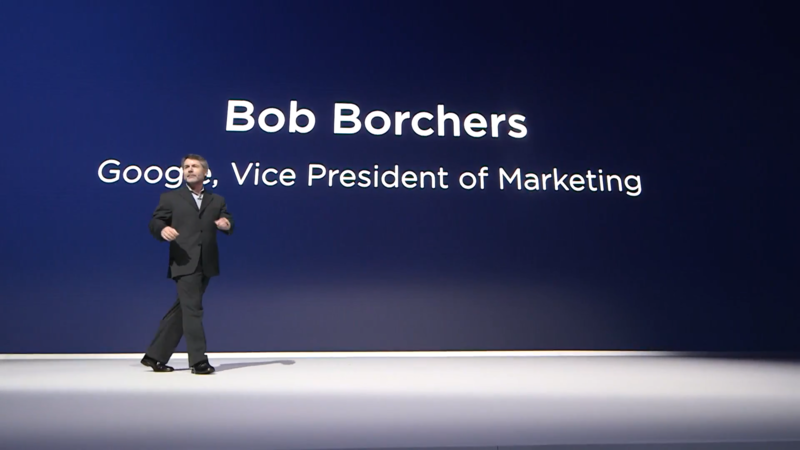 09:56AM EDT - Bob Borchers, VP of marketing of Google on stage. 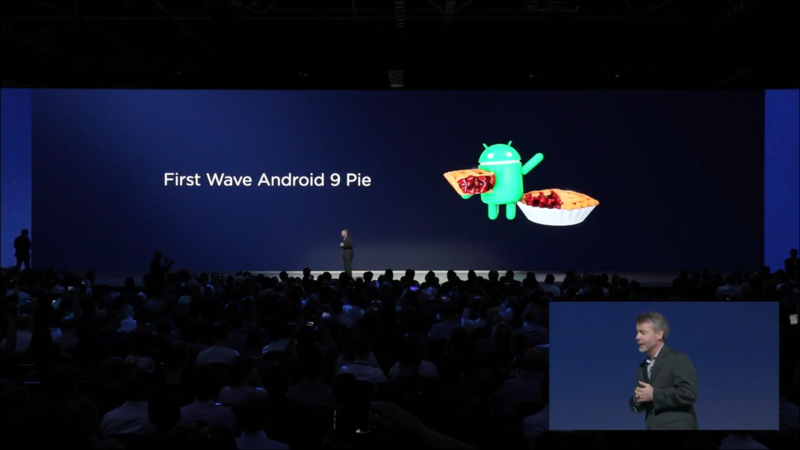 09:56AM EDT - First wave of Android 9 devices. 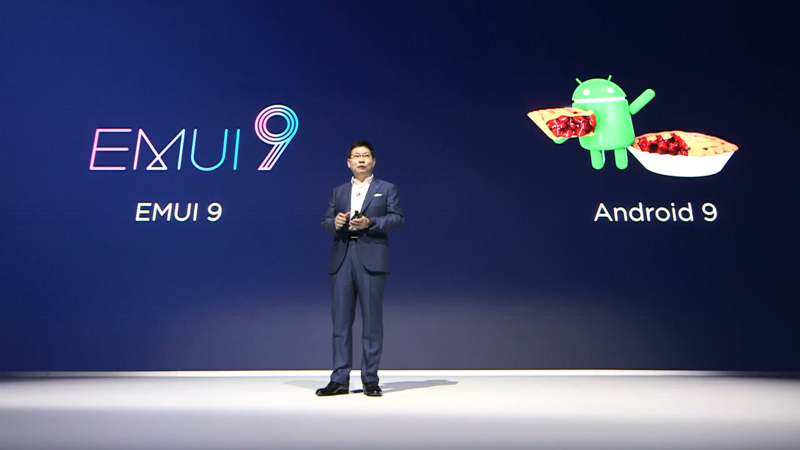 09:58AM EDT - Talking about the integration of new Android 9 security features with the new Huawei devices. 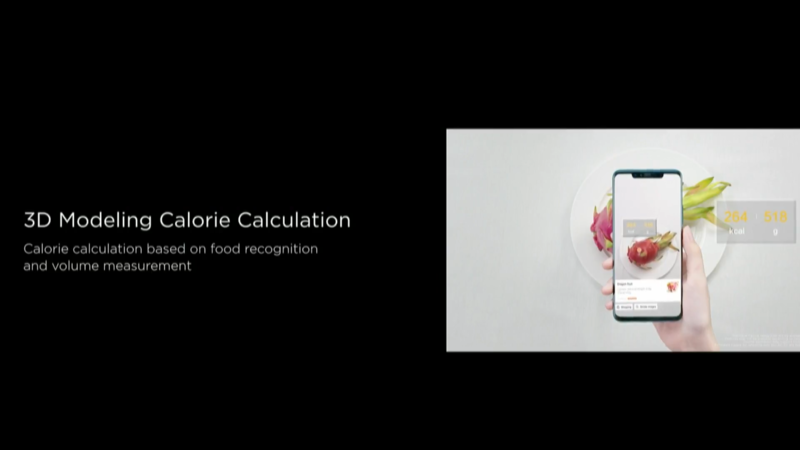 09:58AM EDT - Talking about the Android 9 features, such as digital well-being features that were covered earlier this summer. 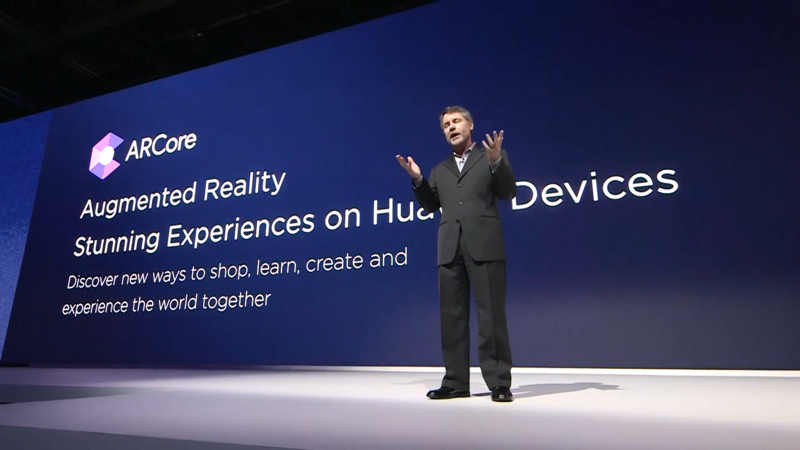 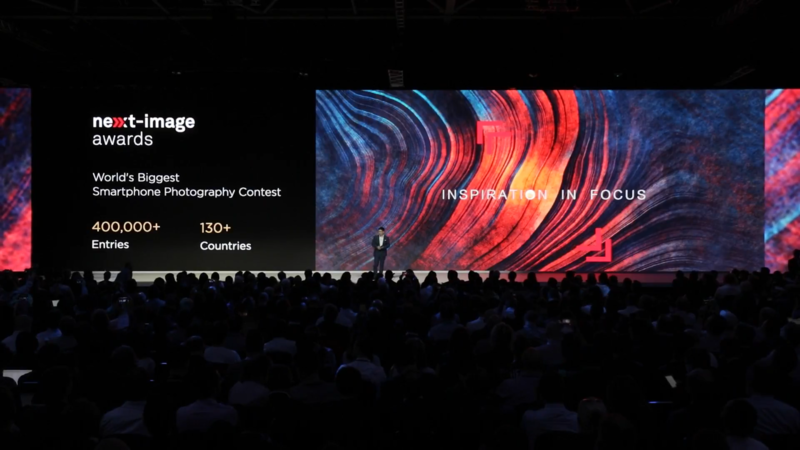 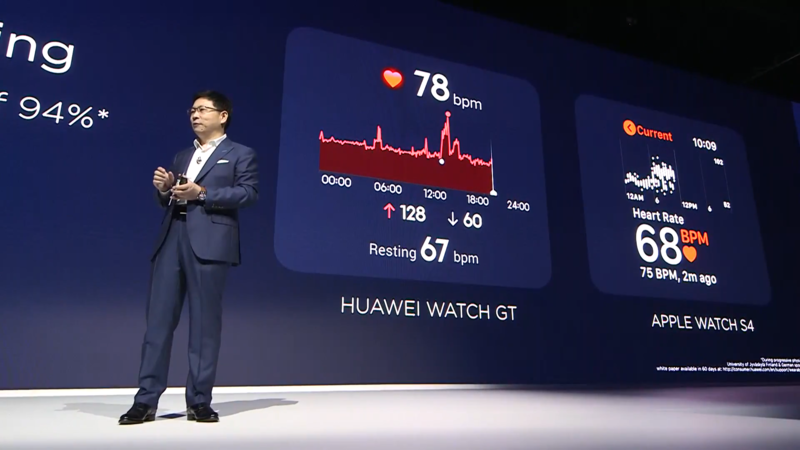 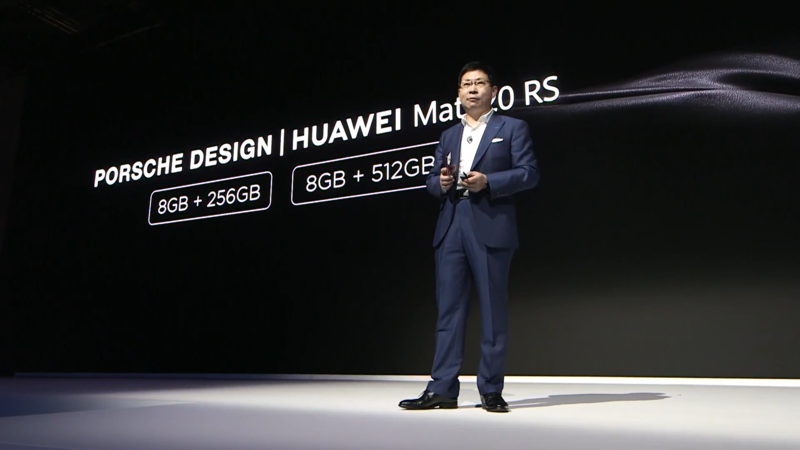 09:59AM EDT - Huawei shares the same vision and beliefs, and makes use of the new APIs. 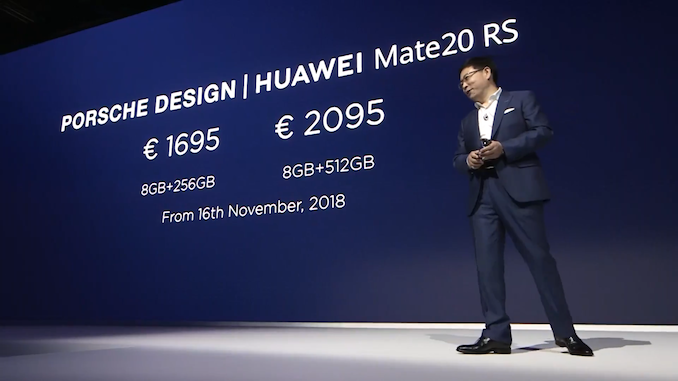 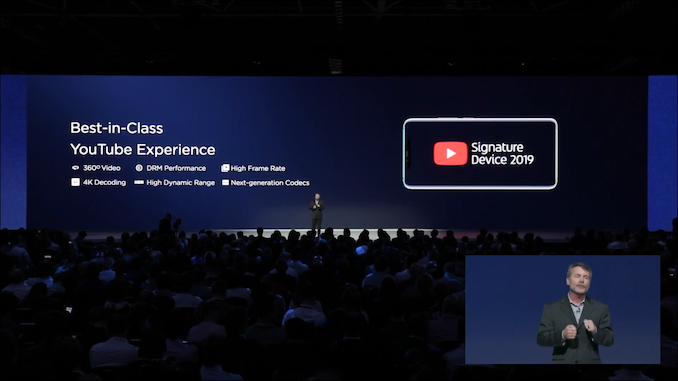 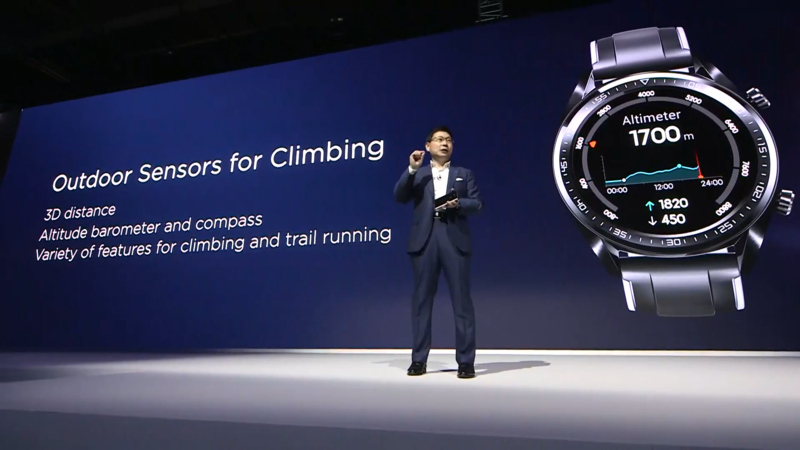 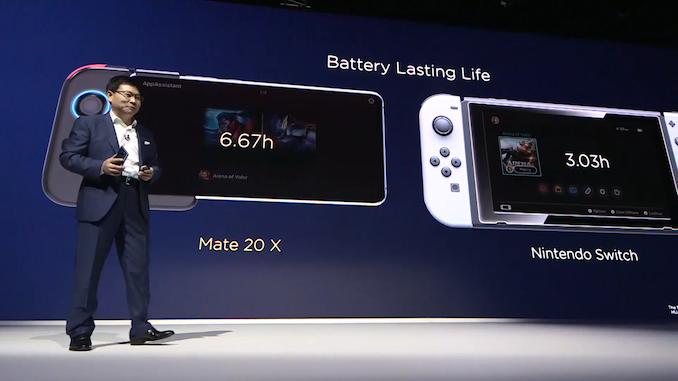 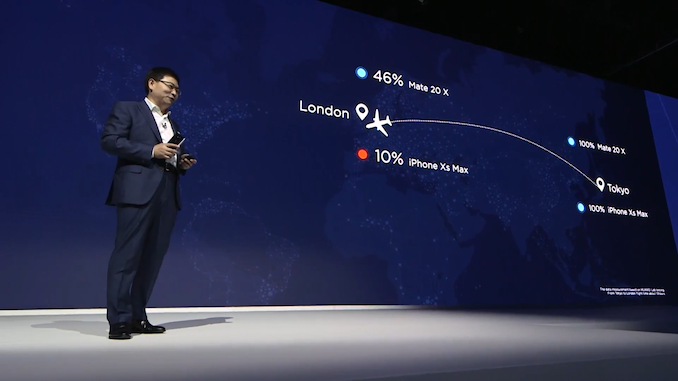 09:59AM EDT - The new Mate 20 are YouTube signature devices. 10:00AM EDT - ARCore is supported by the Mate 20's. 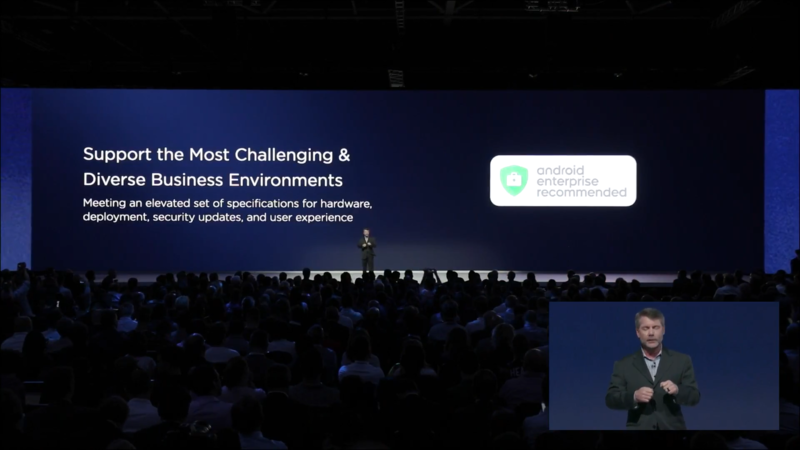 10:02AM EDT - New "Android enterprise recommended" devices which have criteria for hardware, software deployment, security updates. 10:02AM EDT - Mate 20's are part of the programme. 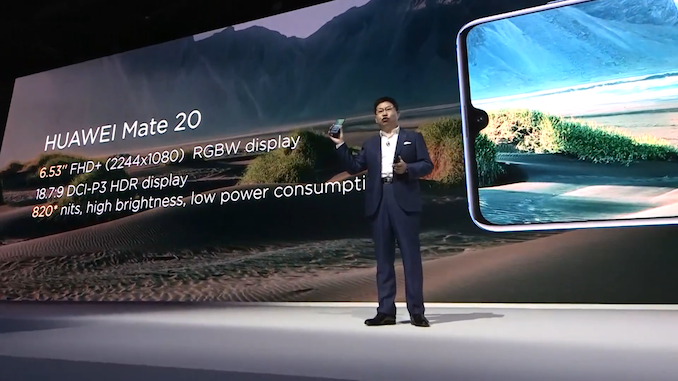 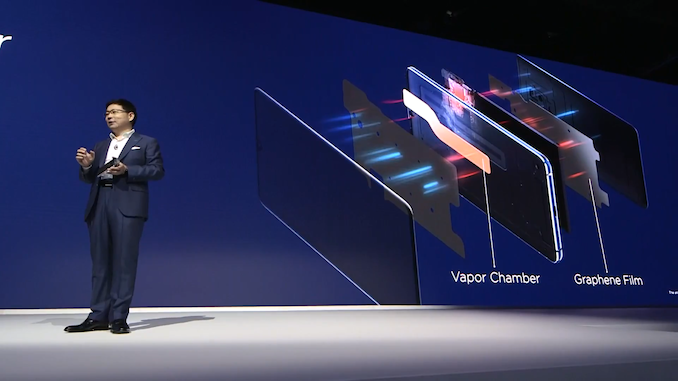 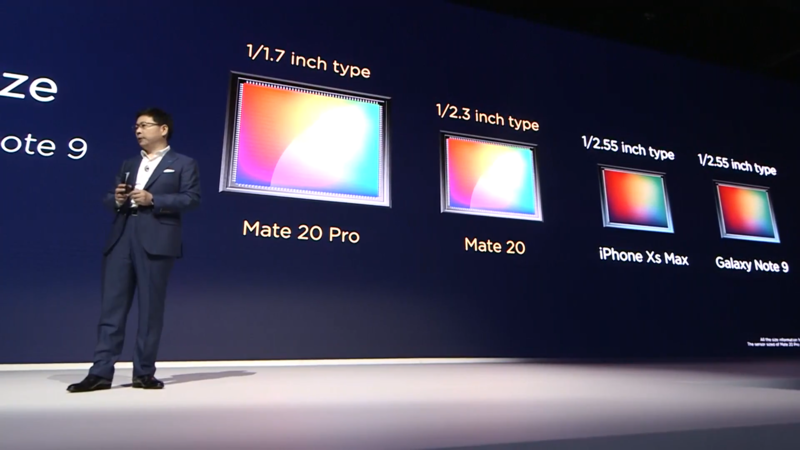 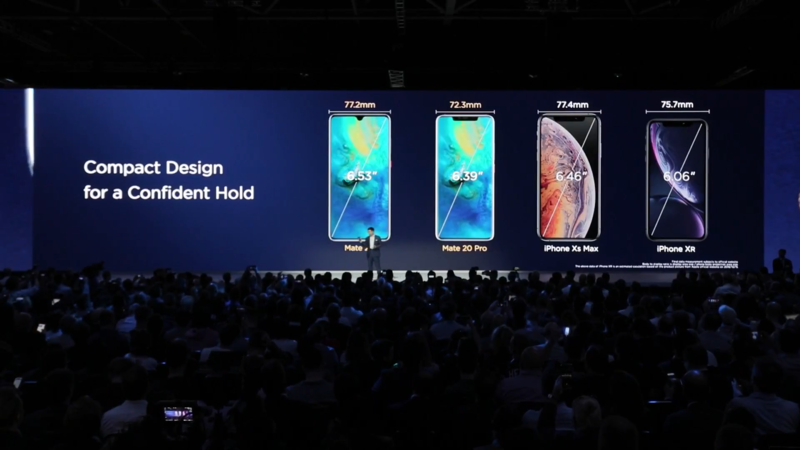 10:03AM EDT - Summing up all the new improvements of the Mate 20, in different aspects leading other industry players. 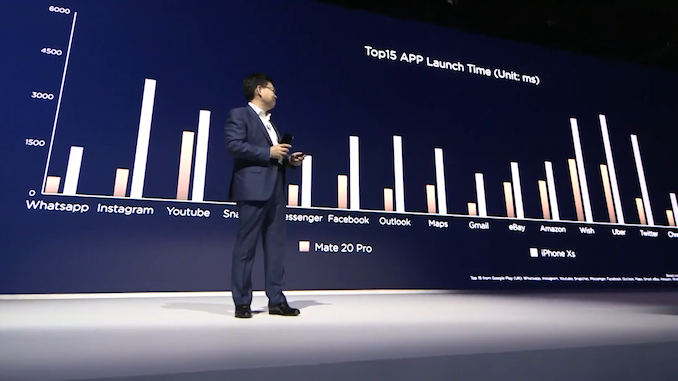 10:10AM EDT - So much talking saying nothing... 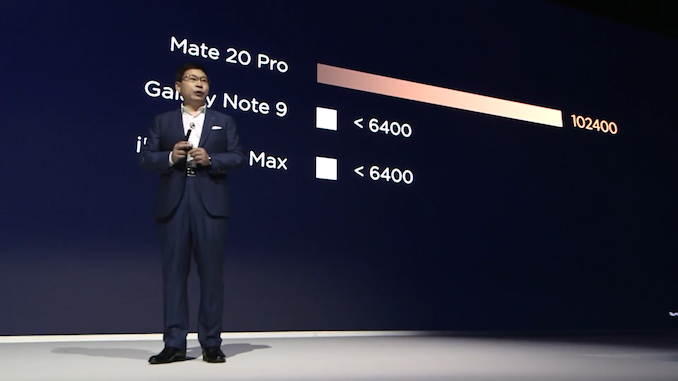 It's a Mate 20 Pro with leather stripes on the back. 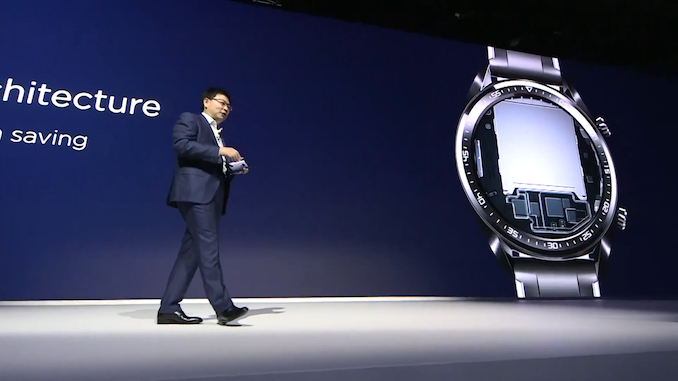 10:13AM EDT - Richard Yu back on stage, talking about the leather. 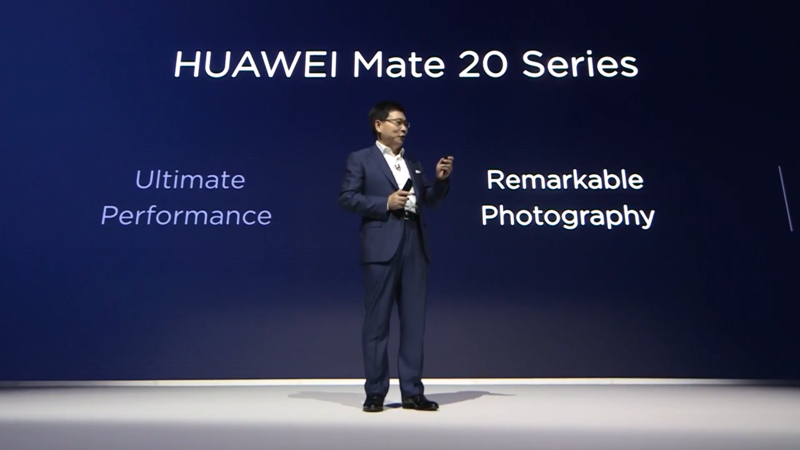 10:13AM EDT - No camera bump on the Mate 20 RS. 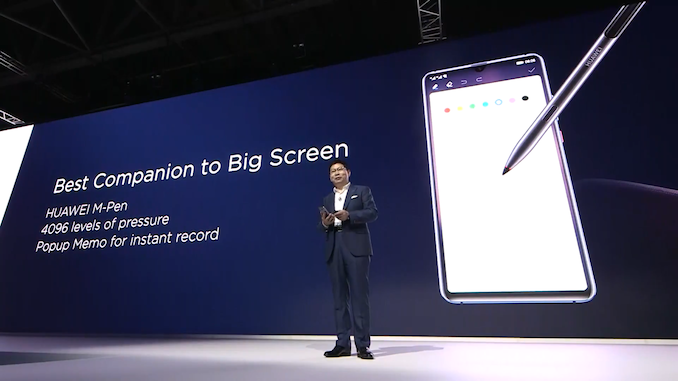 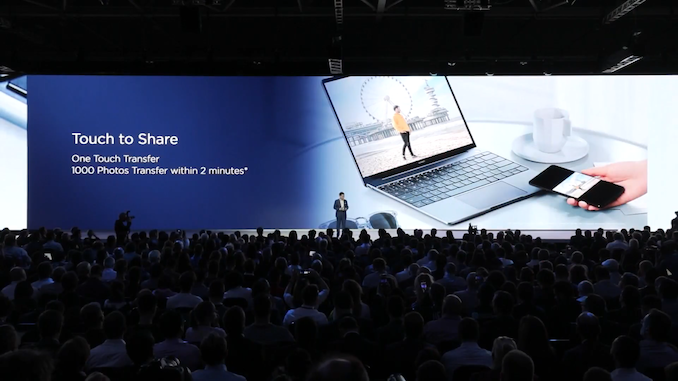 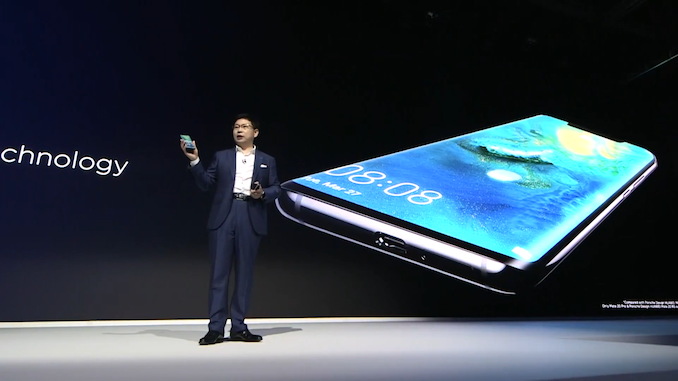 10:16AM EDT - "One more big thing"
10:16AM EDT - Huawei Mate 20 X with a 7.2" screen. 10:17AM EDT - 7.2" OLED screen, though we didn't catch the resolution. 10:18AM EDT - Supports the Huawei Pen. 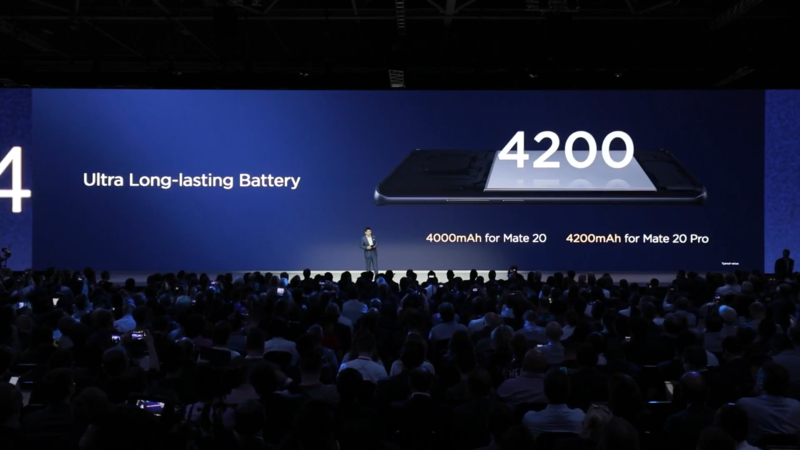 10:18AM EDT - Sporting a 5000mAh battery. 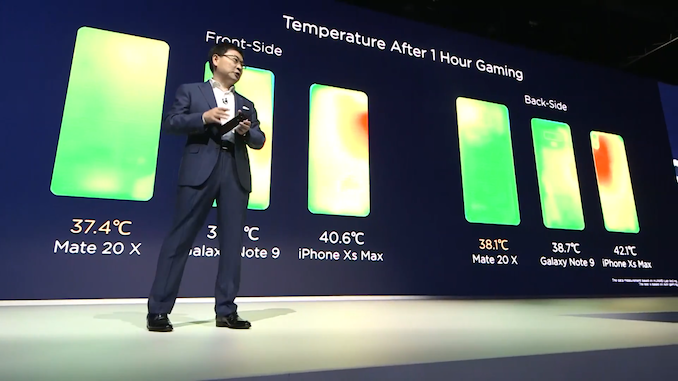 10:21AM EDT - Much lower temperature after sustained gaming sessions, thanks to the new efficient SoC and cooling system dissipating the heat throughout the frame. 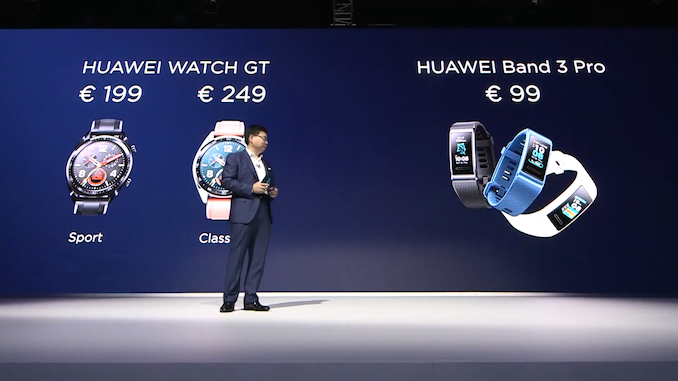 10:24AM EDT - One thing is still missing is the price. 10:30AM EDT - Sorry for the readers - this live stream camera panning is a complete disaster and I can't catch any slide in its competeness. 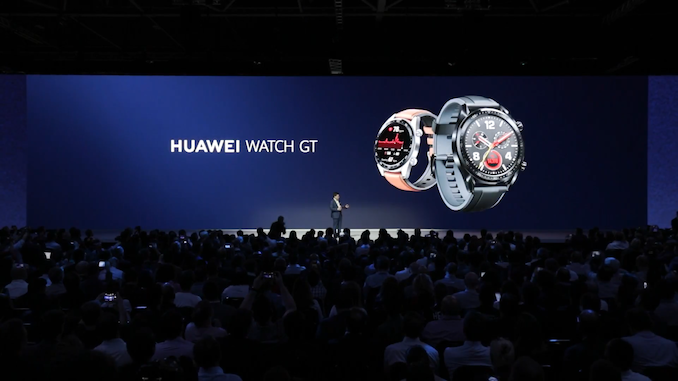 10:30AM EDT - Video now about the new Watch GT. 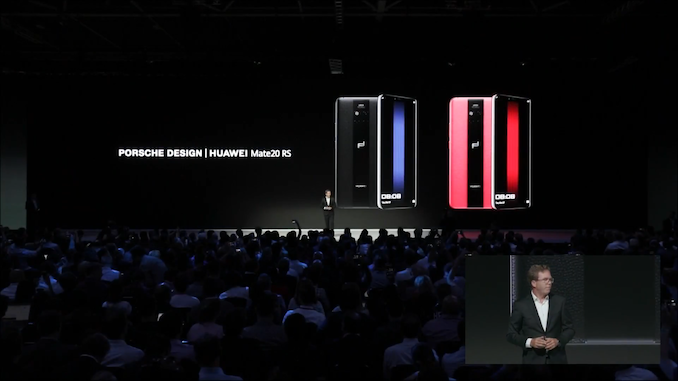 10:32AM EDT - Finally something wrapping up the event, please just announce the pricing! 10:33AM EDT - Pricing pricing pricing!!! 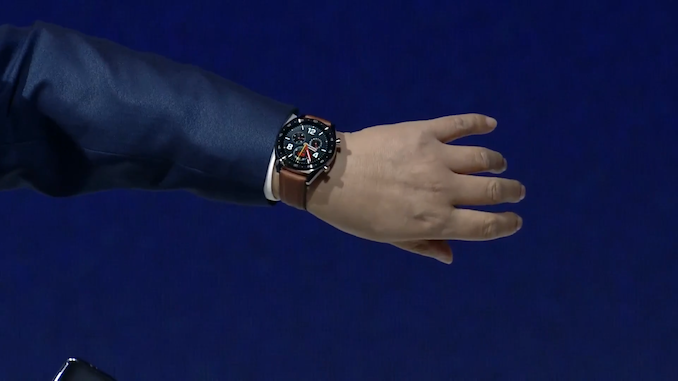 10:35AM EDT - That's a wrap people! 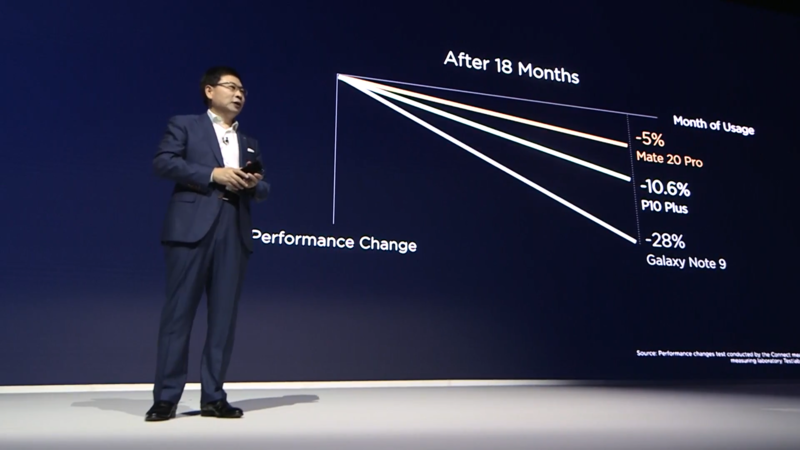 Our apologies for the disaster in the first 15 minutes! 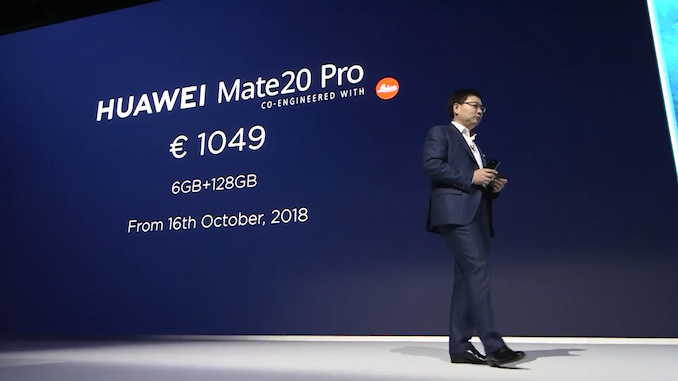 Huawei Mate 20 has beautiful photos. But its fast-charging technology still needs to be improved. You should try Creative Destruction game, it is very attractive for Huawei Mate 20 phone.